Interactions between natural hazard phenomena are neither well-known nor well-studied yet. As a result, they are usually not included in the assessment of natural hazard risk. Deltas are a key example where many natural hazards converge such as storm surges, high river flows and heavy precipitation events, possibly occurring at the same time, droughts and water scarcity, and land subsidence. At the same time, deltas are very densely populated and of large economic importance, meaning that the potential exposure to these natural hazards is high. This session highlighted the importance of interactions between different natural hazards in deltas and highlight hotspots where these interactions must be considered in risk management. Interactions can take place through spatial and temporal coincidence (i.e. compounding) of natural hazards, one hazard triggering another, and interaction where the probability of a hazard changes. The session also highlighted new methods and opportunities to quantify and understand the impacts of these interactions. Antonia Sebastian is a PhD Candidate in the Department of Civil and Environmental Engineering at Rice University in Houston, Texas. Her dissertation research focuses on assessing multi-hazard flood risk in urban coastal watersheds and she is working to quantify the combined impacts of storm surge, severe rainfall, and urban development using hydrodynamic, spatial, and statistical modelling tools. Antonia’s research has a strong focus on developing approaches for regional flood risk evaluation and mitigation. Her on-going projects include calculating residential storm surge damage, analyzing spatio-statistical drivers of flood losses and risk in low-lying coastal watersheds, quantifying hydraulic boundary conditions for compound flood events, and developing flood hazard and mitigation strategies, including Low Impact Development (LID) applications, in high-intensity rainfall regions. Antonia also has experience in projects related to ground water management, water quality, and environmental remediation. Antonia is currently a Program Coordinator for the NSF PIRE Coastal Flood Risk Reduction Program which facilitates interdisciplinary, transnational research collaboration among students and faculty at universities in the United States and the Netherlands. 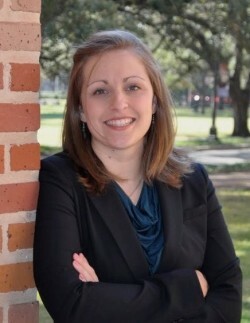 Previously, Antonia was the Project Manager of the Severe Storm Prediction, Education and Evacuation from Disasters (SSPEED) Center at Rice University which has funding to develop regional flood mitigation strategies to address the threat of severe storms to the Upper Texas Gulf Coast. Antonia also held the Netherlands America Foundation/Fulbright Fellowship in Water Management from 2014-2015 as a guest researcher at Delft Technical University in the Netherlands. Bart van den Hurk has a PhD on land surface modelling, obtained in Wageningen in 1996. Since then he has worked at the Royal Netherlands Meteorological Institute (KNMI) as researcher, involved in studies addressing modelling land surface processes in regional and global climate models, data assimilation of soil moisture, and constructing regional climate change scenarios. He is strongly involved with the KNMI global modelling project EC-Earth, and is co-author of the land surface modules of the European Centre for Medium Range Weather Forecasts (ECMWF). 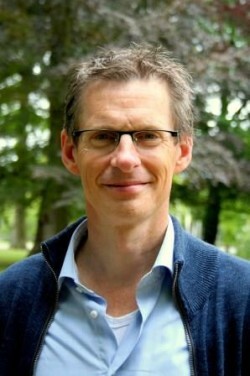 Since 2005 he was part-time professor “Regional Climate Analysis” at the Institute of Marine and Atmospheric Research (IMAU) at the Utrecht University, and from 2014 holds a chair “Interaction between climate and the socio-ecological system” at Institute for Environmental Studies (IVM) at VU University Amsterdam. There he teaches masters students, supervises PhD-students and is involved in several research networks. Between 2005 and 2010 he was chair of the WCRP-endorsed Global Land-Atmosphere System Studies (GLASS) panel, between 2006 and 2012 member of the council of the Netherlands Climate Changes Spatial Planning program, and since 2008 member of the board of the division “Earth and Life Sciences” of the Dutch Research Council (NWO-ALW). He is convenor at a range of incidental and periodic conferences, and editor for Hydrology and Earth System Science (HESS). At KNMI he was member of the Coregroup Institute Reorganisation between 2011 and 2013. He now leads the R&D department on Weather and Climate modelling at KNMI. He is also leading the European Horizon 2020 project IMPREX (Improving Predictions and Management of Hydrological Extremes, 2015-2019). Melanie Duncan works in the volcanology team at the British Geological Survey (BGS) – a Natural Environment Research Council Institute – in their Edinburgh office. Her research interest lies in the multi-hazard characteristics of volcanic environments, particularly cascading and interacting hazards. In 2014, she completed an EngD at University College London using a case study in the Philippines to determine a conceptual understanding of interrelated hazards, as well as applying social science methods to explore how non-governmental organisations (NGOs) assess multi-hazards. She has a particular interest in the utilisation of science by non-scientists in the context of disaster risk reduction and has authored a set of guidelines for NGOs on this topic. She holds a BSc in Geography and an MSc in Geophysical Hazards. Prior to her EngD she worked in flood incident management for the UK Environment Agency. Melanie has worked as a consultant for the Catholic Agency for Overseas Development (CAFOD), the GFDRR and UNISDR. Since joining BGS, Melanie has been involved in a number of projects at national, regional and global scale. She is a member of the Global Volcano Model network and is currently working with other members to deliver its core goal of reducing risk from volcanic eruptions. Her recent projects in the UK and Europe are multi-hazard partnerships created to identify multiple, cascading and interacting hazards and their compounding effects.